bug leaf 305/365, originally uploaded by laurasjoquist. The circumstances of needing to go to the post office and pick Jack up from after school Spanish class enabled me to take a walk on the Stone Bridge path this afternoon. I found a few hearty flower souls still making a go at growing in the autumn weather and this neat leaf. 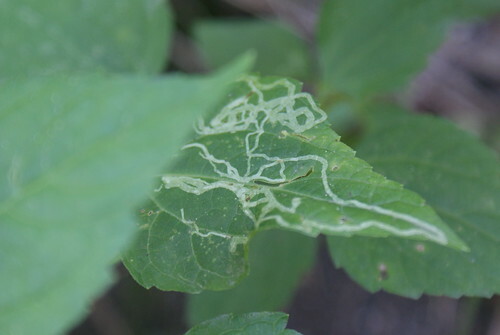 I’m sure the pattern on this leaf was made by some horrible pest-type insect chewing its way across North America. But still, I thought it was kind of cool. 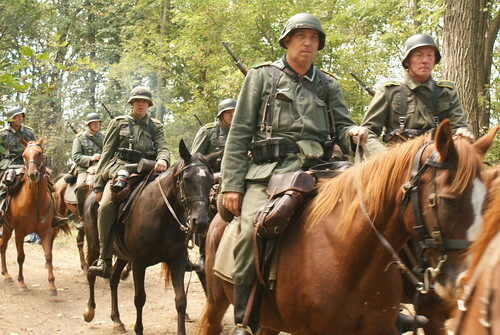 germans on horseback 303/365, originally uploaded by laurasjoquist. Jack, John and I attended our second WWII reenactment at Midway Village in Rockford. And it was phenomenal. Just trying out a new word there, thought I was over using awesome. But it was that too. uso dance 302/365, originally uploaded by laurasjoquist. Every year in the fall Midway Village Museum in Rockford, Illinois puts on WWII days. Live action battles take place on the field and in the village. Soldiers set up campsites in the woods. Nazis prowl the streets on motorcycles with side cars. They even have tanks. It’s awesome. 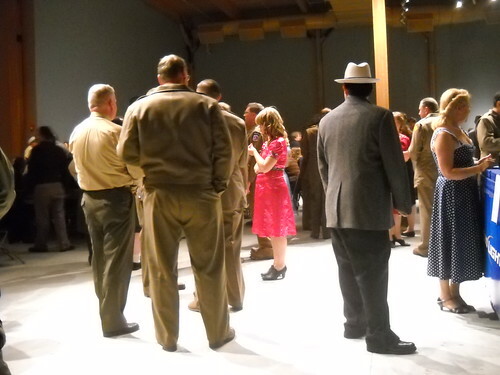 This year John and I went to the USO dance. We were woefully under dressed, but have decided that next year we’re definitely going as an SS officer and a french collaborator/spy because we are after all german and french. 2nd grade paper mache 300/365, originally uploaded by laurasjoquist. I went to Jack’s school on Thursday to help out with the 2nd graders’ paper mache project. They weren’t nearly as messy as I thought they would be. 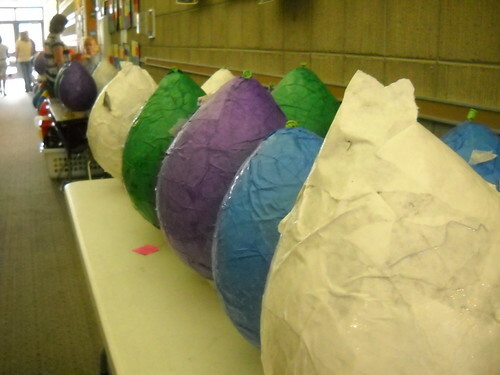 Next week these alien eggs will become beautiful hot air balloons. But wait! This time I know exactly what I did every day for the last 300 days. I have the pictures to prove it. 1921 coin 299/365, originally uploaded by laurasjoquist. It’s too bad that for Christmas I asked for an underwater, shock proof, point and shoot camera, because a macro lens would be awesome too. 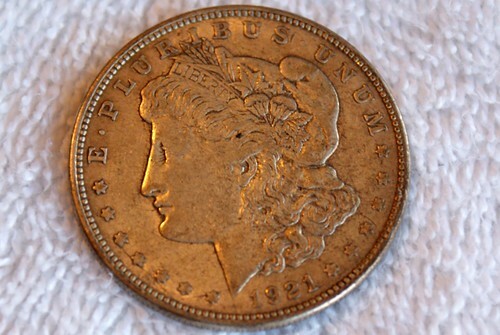 I took some pics of coins this week for Jodi. It was fun and gave me some ideas. Coins are of course little, mass produced works of art and a macro lens could catch some of the smaller details. Upstairs in Jack’s room there is a “treasure box” full of coins from all over the world. cottage bread 298/365, originally uploaded by laurasjoquist. A few months ago I grabbed a recipe book out of the bargain bin at the bookstore. It was a total impulse buy-mostly because the pictures were really nice. I think I paid $3 for it. Paul Hollywood-101 Great Breads. It turns out it is the best bread book I have ever used. 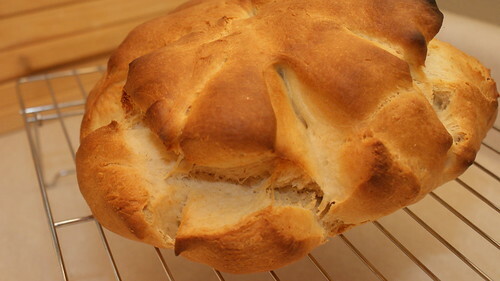 And this recipe for Cottage Loaf is the best recipe I’ve ever made. Totally tasty and very easy to make. And bonus-it only has one rise time of an hour. back to hockey practice 997/365, originally uploaded by laurasjoquist. It’s fall and for us that doesn’t mean football, it means hockey. 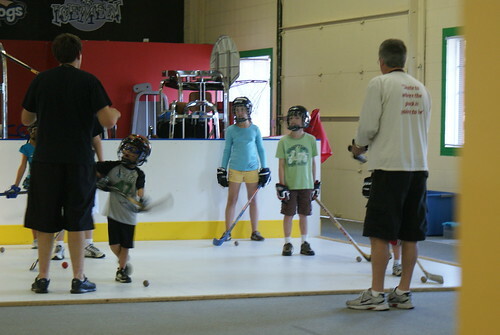 Team practice doesn’t start until October, so Jack is taking a stick handling class to learn some new skillz before he hits the ice. sunday morning donut 996/365, originally uploaded by laurasjoquist. It rained for most of the weekend. 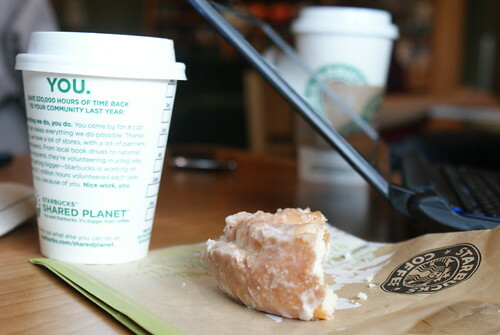 The guys and decided to hit the coffee shop for some cocoa and doughnuts and a little wireless internet time. The place they’ve been bragging up to me for quite some time was closed so we had to settle for Starbucks. It was still a mellow good time. flip flop truck, originally uploaded by laurasjoquist. I had other photos for this day. But who can pass up the opportunity to post a picture of trailer full of flip flops. My question is: How do they keep them from flying off as they drive down the road? constitution hat 294/365, originally uploaded by laurasjoquist. We were settling in for popcorn and a movie when I realized I didn’t have a photo of the day yet. Jack is always my willing accomplice for the photo project. 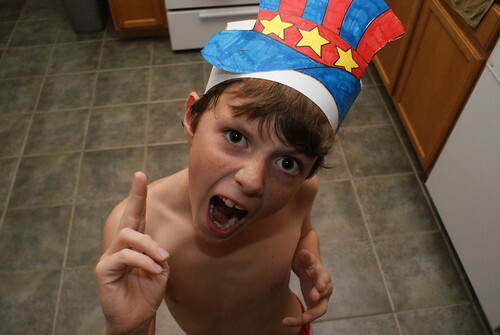 He put on the “constitution day” hat he made at school today and mugged it up for the camera. Man, I love that kid. And doesn’t this shot just make you proud to be an American.